A Game of Thrones: Hand of the King was announced a few days before Gen Con to a fair bit of ridicule. 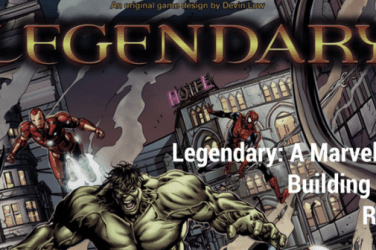 Yet another small box card game with this license? And what about the goofy artwork? 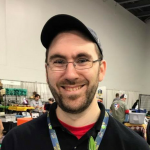 People weren’t too impressed, and considering how many times in the last few years Fantasy Flight had slapped a license on an abstract game to make a few quick bucks, it wasn’t too surprising. Westeros Intrigue was one of our worst games of 2014 because it was such a blatant cash grab. 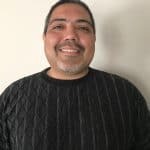 Would Hand of the King be the same? Thankfully, I can say that it is not the same. In fact, Hand of the King is one of the more pleasant surprises I’ve had this year in gaming, not only because it is good when I expected otherwise, but because it manages to use the license in a fun new way that most game companies wouldn’t be willing to risk. Like most of the 4×4 small box card games released by Fantasy Flight Games, Hand of the King isn’t particularly thematic, but it does a better job than most in evoking its artwork and theme. 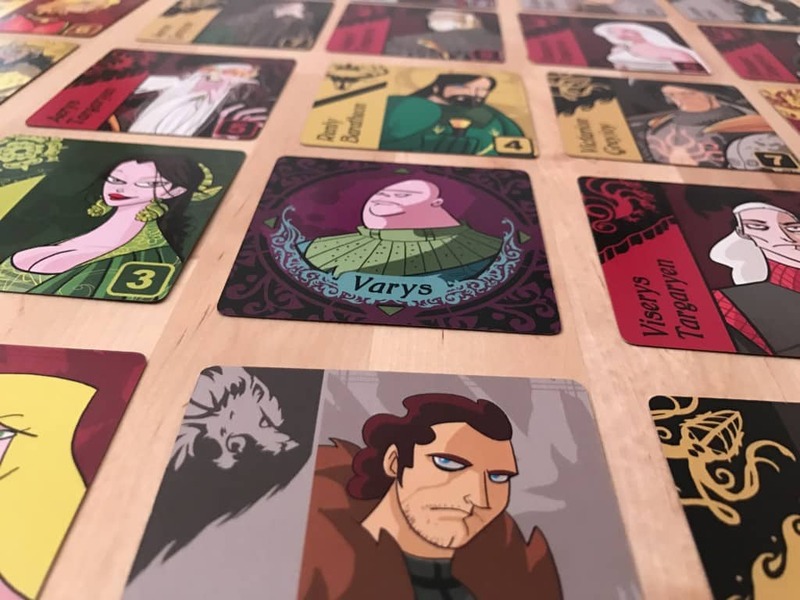 The game, designed by Bruno Cathala, consists of a deck of cards with 36 cards in it, each representing a character from A Game of Thrones, each character sorted into a house. 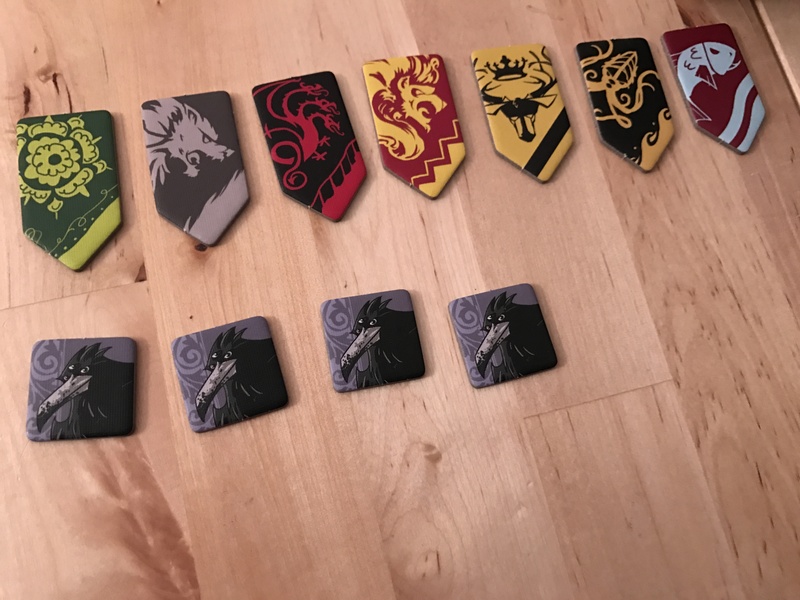 Of the seven houses, each has a different number of members with as few as 3 and as many as 8. 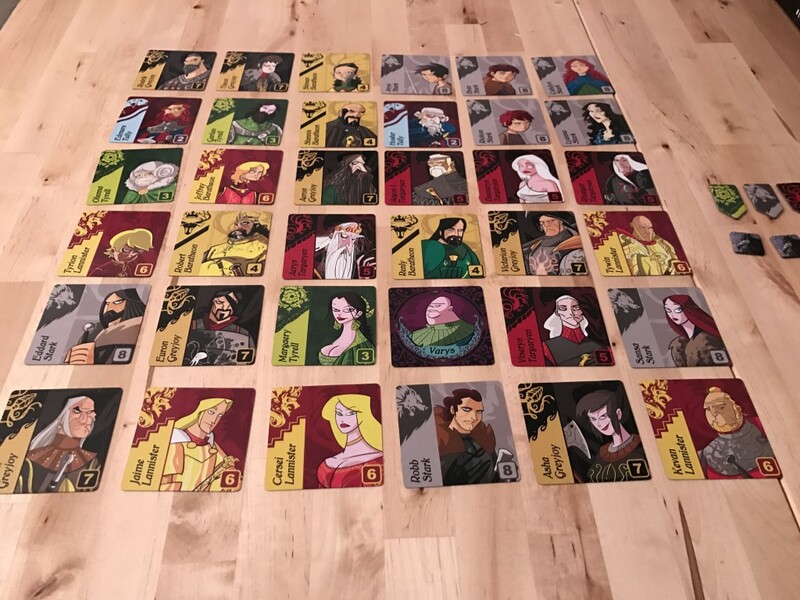 The character cards are laid out in a grid, 6×6 with one of them being Varys. Players will each take turns moving Varys in any direction until they reach the last member of a house of their choosing. So, if Varys is in a row with three Starks in it, he would move horizontally until he reached the last Stark. Varys then replaces that card and it is placed in front of the player. It’s like Hey, That’s My Fish but with only one marker moving on the table at any time. The goal of the game is to win over the most houses, by having most cards for those houses. There are banners representing each house and players will take them when they hit a majority number. To throw a wrinkle into the game, there are also Companion cards that can be played when someone clears out a house and takes the last card off the table. These cards offer special abilities like taking an extra card, killing a character card from the tableau etc. There is a nice little deck of these but only 6 will ever be in play in one game. 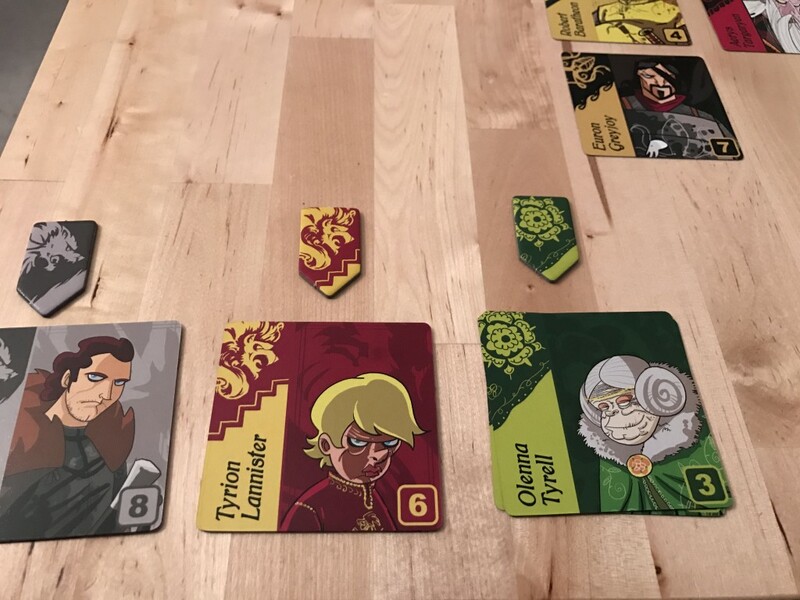 The game is designed for 2 players, but can also be played with three if using the 3-eyed Raven tokens, and there is a four-player team mode you can play as well. It takes only 15-20 minutes and it can get quite cut throat as you rush for character cards. 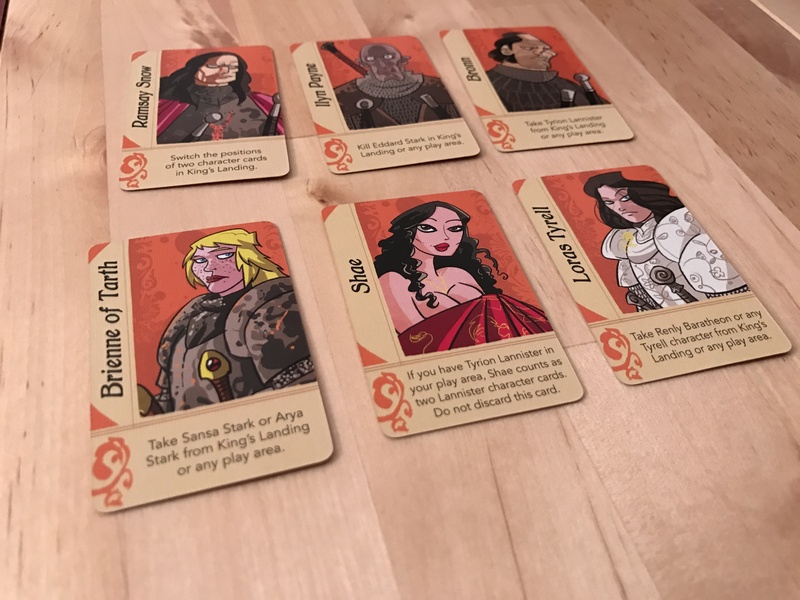 This is a quick, clever, and easy to learn game that requires little or no actual teaching, and has all the characters you know and love from A Game of Thrones. Whether you like it or not, the artwork is incredibly unique and a far cry better than screenshots like we got in Iron Throne or Westeros Intrigue, and the companion cards add a nice element of strategy to a game that is otherwise abstract. 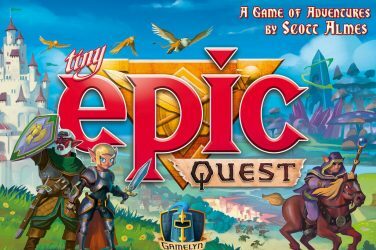 There are two big, meaty, cutthroat games already out for this license – quick and fun ones (that are also family friendly) are a nice change of pace. Hand of the King is an abstract game, pure and simple. Slap any theme you want on these cards and it plays the same. Which is fine, and in this case I think the theme fits well, but it certainly isn’t necessary. 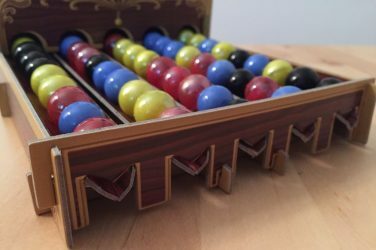 At the same time, the box pulls a fast one by saying it seats 2-4 players but the 3 and 4 player versions are variants of the base rules – both decently implemented for sure, but not the same. 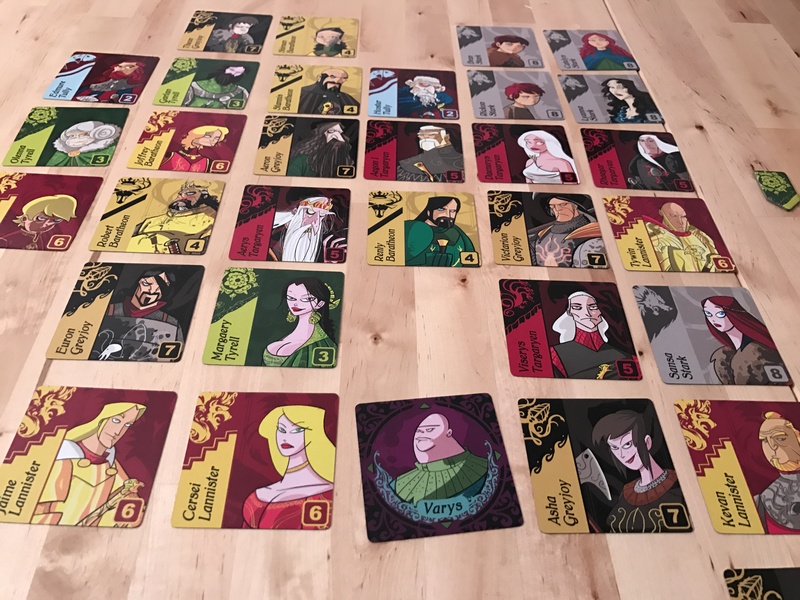 The Hand of the King is a small, simple card game that has some unique abstract elements, offers a fun new take on the artwork and characterization of our favorite Westeros characters, and is short and easy to teach. 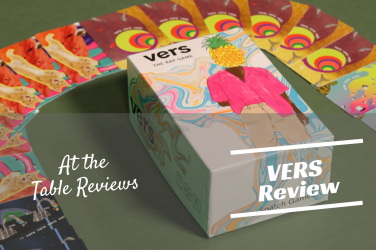 It’s worth checking out and possibly picking up if you’re in the market for a new small box, two player card game. 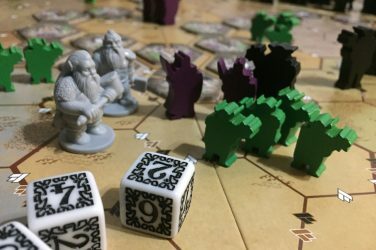 Hand of the King is worth a play, and may have a place in your collection as a new, thematic filler game. 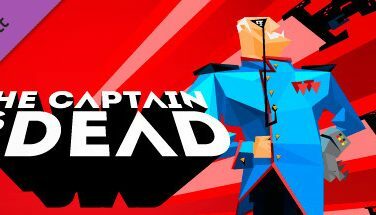 Don’t expect endless replayability, but you might be surprised by the unique use of the Game of Thrones license and the quick, fun gameplay.